RACE STARTS June 7th 5:00am Astoria, Oregon. 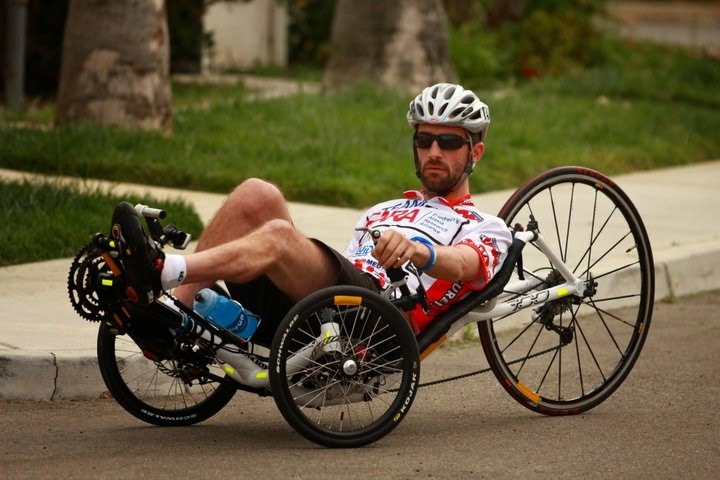 Bent rider Johnny Williams aka Rocketman is riding his Gold Rush long wheel base recumbent bike in the inaugural Trans Am Bike Race. 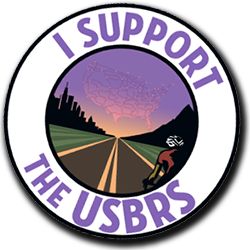 Unlike the RAAM (Race Across America) this is an non-supported race, every racer is on their own! - Track Johnny live here at Track Leaders via Spot. - Johnny "Rocketman" Williams blog here. - Trans Am Bike Race 2014 website here. - Trans Am Bike Race Facebook here. - Follow the filming of the Trans Am Race "Inspired to Ride" on their Facebook page here. - Bent Rider forum Trans Am thread here. Johnny was forced to drop out for medical reasons. Check Bent Rider here for details. Johnny checked in at his blog and updated his here. Good update by CarbonBob at Bent Rider here. Some serious climbing ahead. Checkout the "Elevation Plot" on the live tracker here. Johnny is at Mile 397 as of 8:30 this morning. He is in the middle of the pack while the two leaders (half Johnny's age) are approaching the 700 mile mark. It looks like he is currently 17th place out of 43 riders. Checkout the live tracker here. Trans Am Bike started this morning and Johnny is out with a strong start. His official start time is 05:00:33am (PDT) Now just a few thousand miles more to go! Johnny "Rocketman" final preparation from Johnny's blog post June 5th. The 2014 Australian International Pedal Prix events started in early May and will continue through September for a total of five events at various locations. The first four events are 6 hour races. The final event is a 24 hour race. All teams must represent a school and their vehicles must have three wheels and a recumbent style seat. 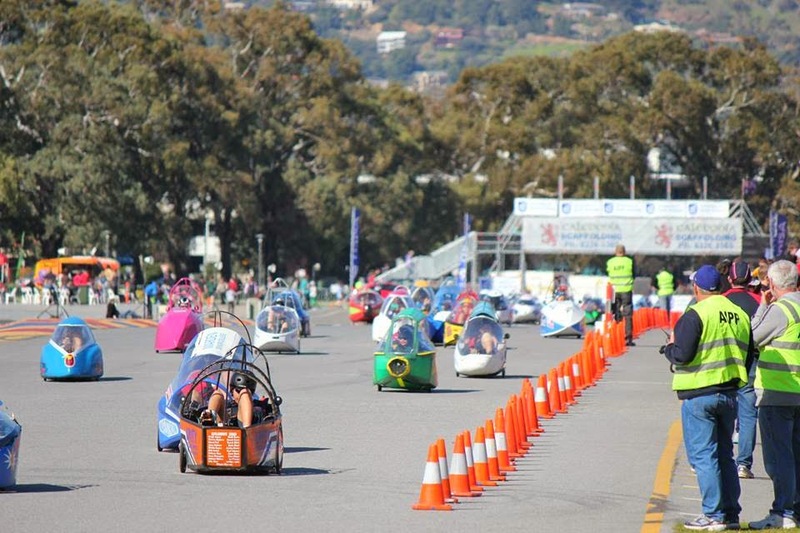 The Australian International Pedal Prix series provides "an environment in which young people can demonstrate: Innovation, Risk taking, Collaborative learning, Confidence, Appreciation, Behavior appropriate to the spirit of the event." Visit the Pedal Prix website here. Or even better visit their Facebook here for up to date information and pictures. 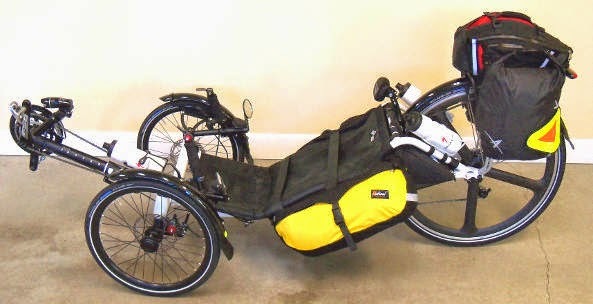 I've never thought of the Catrike 700 as a touring trike but Steve over at the Trike Asylum makes it look pretty cool. I could see touring on a properly set up 700 along the lines of what Steve put together with the addition of a Schumpf mountain drive to go along with the big 700 wheel. I've become very comfortable with my 700's 25 degree seat angle. I feel I can get more power to the pedals and breath easier. I look forward to reading what Steve has to say when he takes his next tour. Visit Steve's Trike Asylum Catrike 700 page here and check all the pictures. The short section of quiet rode I often take to get a break from traffic will soon no longer be quiet. In the name of "progress" and tax revenue for the City of Westlake a big box is born and a small business dies leaving space for another Sushi Restaurant. As is customary there is no accommodation for bicycle traffic within this monster of a parking lot. 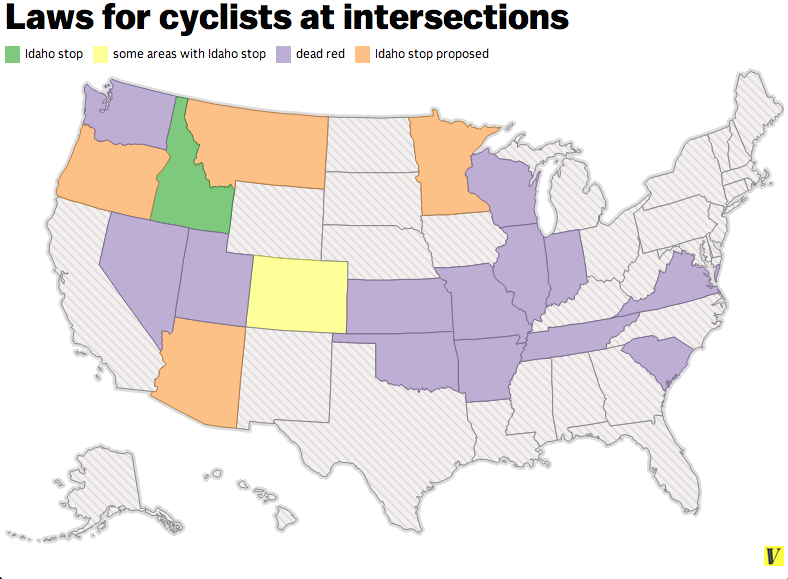 The Idaho stop should be the rule everywhere not the exception. Simply put, for cyclists all stop signs are yield signs and all red lights are stop signs. Here's a good article on the Idaho stop, Why Cyclists Should be Able to Roll Through Stop Signs and Ride Through Red Lights by Joseph Stromberg. Most cyclists in California already treat stop signs as a yield sign even though it is illegal. As for red lights I stop and proceed if there is no traffic because I know my trike won't trip the sensors in the street to change the light. If cars are around I just relax and enjoy the benefits of being on three wheels. 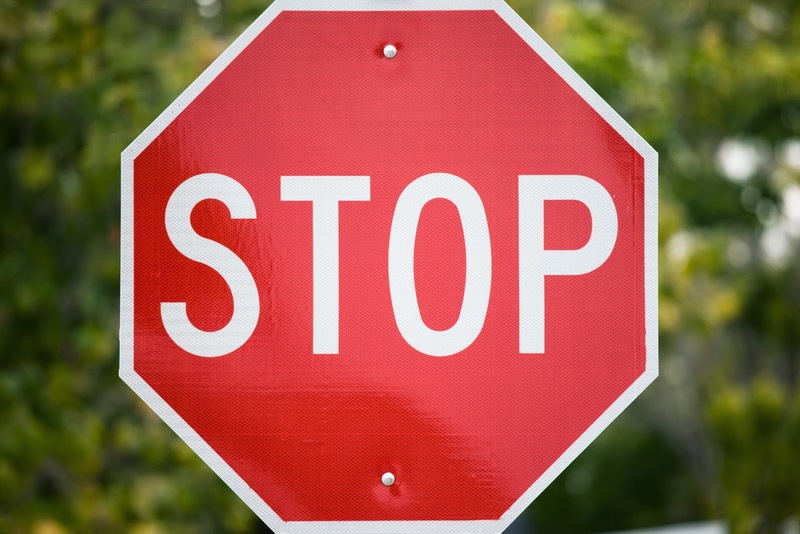 Treating red lights as stop signs makes sense but it is still illegal here in California. However I see Lance wannabes and the occasional clueless Millennial bomb through both stop signs and red lights giving cycling a bad name. Another University enters the fray. 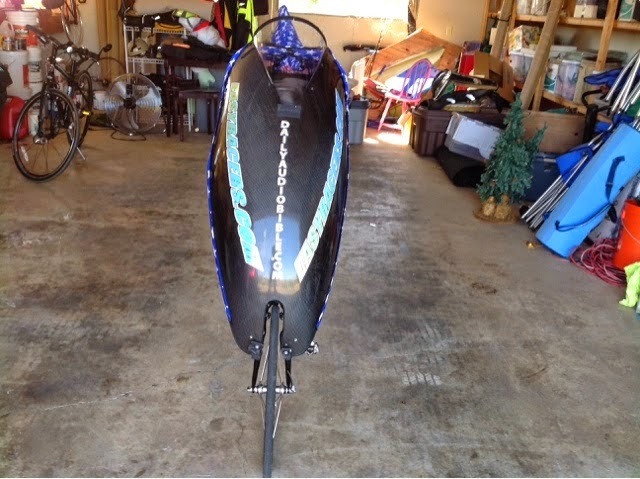 The University of Liverpool Velocipede Team gets ready for the 2015 World Human Powered Speed Challenge at Battle Mountain with it's Arion1. Read about it here. 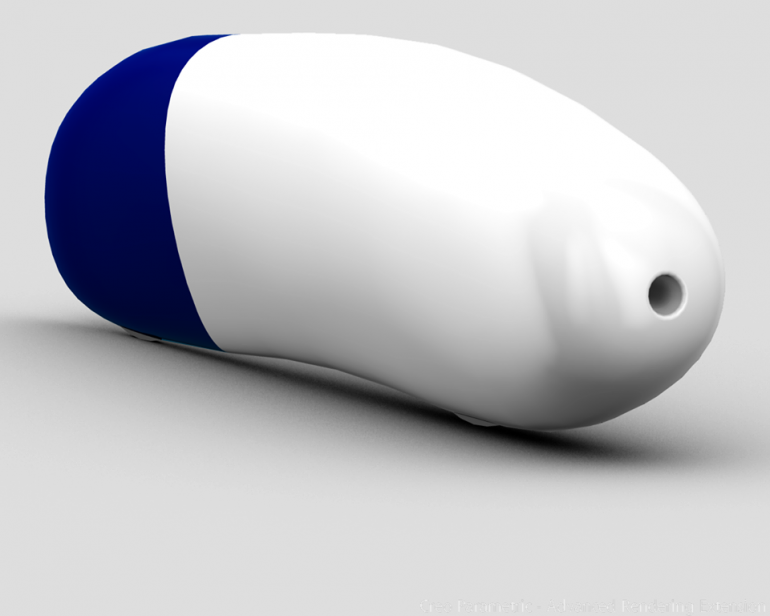 I'm fascinated by the development of technology that has allowed humans to achieve incredible human powered records. We're so spoiled by fossil fuel as a power source that we have allowed ourselves to become complacent. Leave it to the young and their mentors to break free of archaic expectations and achieve the unimaginable. On May 2nd Kyle Bryant's Catrike 700 was stolen. Kyle tells the story in his inspiring blog post. "My Trike is gone! It was like someone cut off one of my limbs, or removed a vital organ. My trike is my freedom. When I ride, I feel powerful, like I can accomplish anything. 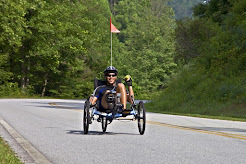 When I am on my trike I am not disabled, the sky is the limit." Read the entire story here. "Minimize the loss. Focus on moving forward". his 700 as part of a four man team. Kyle Bryant is an athlete, speaker and the spokesperson for the Friedreich’s Ataxia Research Alliance (FARA). Kyle is the founder/director of Ride Ataxia – a nation wide bike ride fundraiser benefiting FARA. Kyle was diagnosed with FA at age seventeen and found that as the disease progressed he had to give up the sports so interwoven in his life growing up in Northern California; sports such as golf, baseball, basketball and football. When Kyle’s FA had progressed to a point where it became unsafe for him to continue riding his bike, he put a stop to the loss of the activity he cherished. 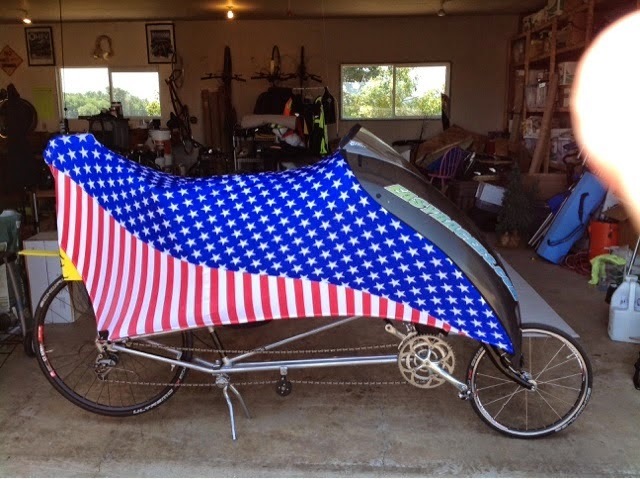 He took back control, purchased a recumbent trike, and resumed his riding with passion. It's hard not to want to go fast and push myself when riding the 700. I enjoy keeping up or passing other cyclists while on my rides. I know that some of them take a strike to their ego when an old guy on a tricycle passes them. It shows in their body language as they lean forward a little more and start to rise off their seat to get a bit more power. What can I say old guys need to get their kicks and I do it while riding my 700. But I need to slow down...just a little. My legs are getting stronger as I slowly break in my new hips. However I do pay a price for pushing a little too hard on my rides. The hips get sore and I have to take it easy for a day or two. On the last couple of rides I made up my mind not push hard and I put my head and body into cruise control. The rides turned out to be the most enjoyable rides I've had since my hips went titanium. As it turned out my average miles per hour suffered by less then 10% and the hip soreness was minimal. The only real difference in my riding style was taking the hills a little easier by gearing down more then usual and I avoided pushing hard to make a signal or to pass another cyclist. Just keep a nice steady rhythm. Also when stopped by a signal I'm now in the habit of gearing really low so my take off is easy with minimal pressure on my hips. From the time the signal turns green and I'm through the intersection I'll have geared up through 4 to 5 gears. The SRAM 500 bar end shift levers make shifting easy and fast. 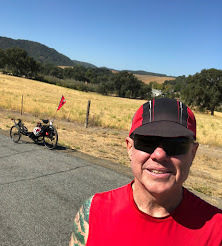 The facts (nothing special but for me it's pretty good): Since my hip replacements my rides are generally short, less then 15 miles. The average gain is 500 feet. That hasn't changed. The change is in my average miles per hour along the same route (more or less). It went form 15.5mph to an average of 14.5mph. I ride 3 to 4 times a week. I'll continue to keep the pace steady when riding the 700 and focus on adding more miles. Good bike lane video put together by Russ and Laura at The Path Less Pedaled.